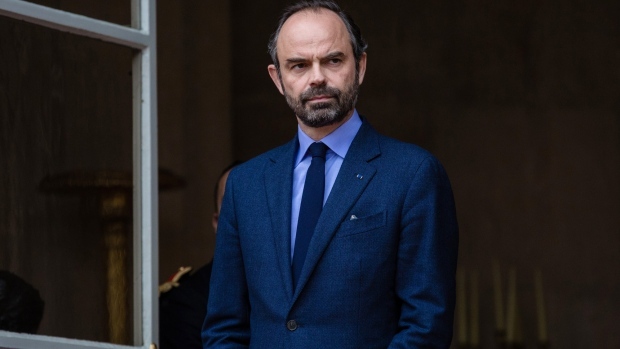 (Bloomberg) -- French Prime Minister Edouard Philippe said the government won’t bow to protesters and roll back gasoline levies, arguing that other tax cuts have reduced the overall burden on taxpayers. “We didn’t impose fuel taxes for the pleasure of annoying the French, but because we want to tax carbon more than labor,” Philippe said in an interview on France2 television after a second day of protests across France against high gasoline prices. French media reports said about 40,000 protesters threw up about 150 roadblocks across France Sunday, compared with about 287,000 protesters and about 2,000 blocked roads during a national “Day of Action” Saturday organized by grassroots movements.